Browse > Home / What’s a QR Code Got to Do with Lake Chapala, Mexico ? Hi Everyone, Thanks for opening this brief article. First let me tell you what a QR Code is if this term is new to you from a quote I found on line. OK, now that you know what a QR Code is let me tell you the connection between a QR Code and Lake Chapala, Mexico. As you probably know, I’m in the process of writing a book about Lake Chapala, Mexico, “How to Live a Caviar Lifestyle on a Tuna Fish Pension: Safe, Beautiful, and Affordable Lake Chapala, Mexico”, and I plan to use QR Codes in the book and one on the book cover. What will they link to? The one on the cover will link to a video of me introducing the book to anyone who scans the code with a smart phone which of course more and more people are carrying these days. The ones inside the book will link to other videos or information to expand on the content being read to give the reader even more value for their money. 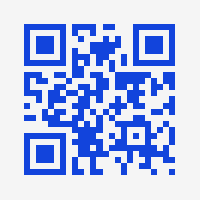 Now, I want your help in choosing the best QR Code content for the cover of the book. See yourself standing in a bookstore perhaps and you spot a book that catches your eye because of its attractive cover and interesting title. There a lot of books like that to choose from in the store, but you notice that one in particular has a QR Code on the cover and since you have your handy smart phone with you; you decide to scan the code to learn more. You do so and find that it’s a short video from the author himself telling you about the book. You’re intrigued by his description and buy the book. Now, here’s where I need your help. I want you to help me choose the best video from the 3 presented below. Each one is just about a minute and a half so it will not take a lot of your time… and I will be forever grateful. OK here are the videos. Just vote for the one you think best in the comment area below the videos. Vote by selecting Video 1, Video 2 or Video 3. Add comments if you like. Chapala Club Author Poses Threat to McCain & Obama! I like the first video. It seems more concise than the other two versions. The “Hasta luego” at the end of it is a good Also, I think it is more appropriate to ask for review of the book using a QR code on the inside/back cover. I will definitely buy this book when you publish. My name is Shari and I’m from Dallas and planning to retire in two years. Lake Chapala is high on my list to investigate. I really appreciate your newsletter and am happy to give you feedback on your video – esp since you will be forever grateful – that hopefully is a long time. Anyway, I like the first video hands down over the other two. You seemed to be speaking as if just to me with facts and yet your personality showed through. The second one you came across as trying too hard. The third was ok but it was not as straight forward as the first which appeals to my personality. I hope this helps and I look forward to meeting you in the spring. Hi Sid, I agree with Sheri regarding the book review on the back cover. But I think #3 is the best version. We haven’t been able to sell our house without taking big loss in this market… so your book will let our minds go to Mexico can’t wait for it to be released. HOLA CID, WELL PERSONALLY I LIKE YOUR FRIENDLY’S VIDEOS ALL, BUT ONE CUT MY ATTENTION AND THAT IS NUMBER 3, WHY? WELL YOU LOOK MORE FRIENDLY AND RELAX AND IT MAKE ME FEEL LIKE YOU MY FRIEND O’READY. IS THAT ENOUGH? THANK YOU FOR MAKE ME PARTICIPATE AND I ENJOY IT. HAVE A GREAT DAY AMIGO CID. I like video #3. I am not exactly sure why, but without putting too much thought into it, this one seemed to impress me more than 1& 2.
number 3. Good luck with this worthwhile endeavor! Good work Sidi. I prefer #3,it is a bit more fun and relaxed with you promoting your book. the sun does reflect off your glasses a bit in all of them, maybe they can fix that somehow? Look forward to the book on sale……….Good Luck! HI Ruth, Thanks for sharing your thoughts. I could have already had the book out, but I’m taking the time to make it not just a good book, but I hope a great book about our area. Color fotos, top grade paper, an index, and QR codes. Thanks again. As you may know I’m from Dallas and still have a lot of family and friends there. It’s just a 3 hour plane away so I get to enjoy seeing family and friends easily and still live in paradise. Thanks for sharing not just which video you like, but why. Look forward to meeting you. All videos are done well…my favorite is #3. Great job Sid! I think the third one is the most relaxed one. I found you sounded way more professional in the second one Sid and the tone of your voice and your demeanor were better – that is my opinion. Wishing you the best of luck Sid. Thanks for you input. Early returns indicate that #3 is winning so far. This kind of thing is very subjective. The videos operate on various previous experiences each viewer has had in their lives. Yes, I did not like the reflection either, but I did not have helpers to block the direct sun with a screen, but I agree with you. Some day I may have a professional set and or helpers. Good point however. Thanks for your vote. Yvonne is a nice lady and a long time friend. Sorry our paths will not cross in April, but I have two associates that can help you look at the area and see some homes. Just let us know. like you and those that have contributed their thoughts here and many others like each of you “get me up every morning:. Of course living in paradise helps too. Hi Jerel, Thanks for your vote. Looks like #3 is the winner, Thanks again. John and I both liked #3 better. We thought your personality came through on this one. Can’t wait for your book. We look at real estate on the internet monthly and can’t wait to retire there. Things are starting to come together. We will be going to the Chapala area in January, are you unavailable at any time then? Please send me an e mail with the details of your trip when you’ve confirmed them so we can make a plan to make the most of your time here. You can find my e mail on this site, The software doesm’t allow e mails in the comments section. I guess I’m a little late to the party but I am in agreement with most that 3 is the best presentation. Since the video is a personal introduction to the book I think at least that section of the video should be on the cover. I agree with Sheri that the request for a review would work better after having read it. I believe a video presentation on the cover and another inside the back cover requesting the review and thanking the purchaser for buying and reading it would be very cool. I hope I’ll get to see you when I come for a month long visit early next year. Thanks for being so helpful on my first trip to Chapala last Feb.
Hi Bob, Good analysis, I appreciate you taking the time to share your ideas. Please let me know your trip plans by e mail because@ChapalaClu:disqus if I’m not available I have trusted Buyer Only Exclusive Realtors I work with who can be very helpful to you on your visit.